PLEASE READ THE TERMS AND CONDITIONS OF THIS END-USER LICENSE AGREEMENT (“EULA”) CAREFULLY BEFORE DOWNLOADING, INSTALLING OR USING THE INFOBLOX SOFTWARE (“Software”) OR INFOBLOX HARDWARE PRODUCT (“Product”). BY DOWNLOADING, INSTALLING OR USING THE SOFTWARE OR PRODUCT, YOU AND THE BUSINESS ENTITY YOU REPRESENT (COLLECTIVELY, “You”) AGREE TO BE BOUND BY THESE TERMS AND CONDITIONS. This EULA is a legal agreement between You and Infoblox Inc.
1. SOFTWARE. The Software, including any updates, upgrades, patches and additional modules (collectively, “Updates”) thereto (the Software and such Updates, collectively, the “Licensed Software”), may be provided by Infoblox for use with the Product or with the specific authorized third party virtual platform associated with the product code or description indicated in the applicable Order (“Authorized Platform”). The Licensed Software incorporates Infoblox and third party proprietary software and technology. Infoblox may also provide documentation for the Licensed Software, that may include user manuals, operation instructions, installation guides, release notes, and on-line help files regarding use of the Licensed Software as updated by Infoblox (collectively, the “Documentation”). Infoblox and its licensors retain all right, title and interest and intellectual property rights in and to the Licensed Software and Documentation. The Licensed Software and Documentation are licensed only; no title in or to the Licensed Software or Documentation is assigned or transferred to You. You do not have any license or right to use any Updates unless You have a valid license to the original Software and have paid all applicable fees. Use of Updates is limited to Software and Products for which You are the original end-user licensee or authorized transferee. The Licensed Software also incorporates open source and/or publicly available content under separate license; a list of such content and applicable licenses is included in the applicable portion of the Documentation. 2. ORDER. You may obtain licenses for the Software only through Orders placed with Infoblox or Infoblox authorized sources such as resellers and distributors. “Order” means a purchase order or other ordering document for Software or Product that is issued by You to Infoblox or an Infoblox authorized reseller or distributor and that is accepted by Infoblox. Unless You have executed a separate written agreement with Infoblox for the purchase and license of Software, Orders and use of the Software provided under an Order is subject to this EULA. 3. LIMITED LICENSE. Subject to Your compliance with all the terms and conditions of this EULA, Infoblox grants You a non-exclusive, non-transferable (except as set forth in Section 10) license (“License”), during the License Period (defined below), to install and operate the number of copies of the Software for which You have purchased a License, only in object code form and in accordance with the Documentation. You may copy the Software and Documentation as necessary to install and operate the number of copies of the Software for which you have purchased a License and to maintain a reasonable number of copies for backup and archival purposes. The License includes the right to permit Your affiliates and third-party service providers engaged by You to use the Software and Documentation solely on Your behalf; provided that You shall remain responsible for such affiliates’ and third parties’ use of the Software and compliance with this EULA. The “License Period” begins upon shipment of the Product or issuance of license keys for Software, and continues for the license term associated with the product code or description indicated on the applicable Order. If no license term is associated with the product code or description indicated in the applicable Order, then the License is perpetual. For Software originally provided by Infoblox on a Product, the License is only for installation and operation on the original Product (or replacement of the same model provided by Infoblox). For Software originally provided for operation on an Authorized Platform, the License is only for installation and operation on the Authorized Platform associated with the product code or description indicated in the applicable Order. Use of some software modules may be licensed separately; You are only licensed to install and operate the Software indicated in the applicable Order. Infoblox may terminate the License effective immediately upon written notice to You if breach any provision of this EULA and fail to cure such breach within thirty (30) days after receipt of Infoblox’s written notice of such breach. If Infoblox has provided the Software under this EULA for replacement of a previous Infoblox software installation, then upon provision of license keys for the Software, Your license for the previous software installation will terminate and You must cease all use of such Software. 4. RESTRICTIONS. You shall have no right to, and shall not, directly or indirectly: (a) transfer (except as set forth in Section 10 below), sublicense, rent, lend, lease, or otherwise distribute the License or Software to any other person or entity, or use the Software on unauthorized equipment; (b) copy the Software except as expressly permitted in Section 2 above; (c) reverse engineer, decompile, disassemble or otherwise seek to discover any underlying source code or algorithms of the Software or Product, except to the limited extent that applicable law expressly prohibits reverse engineering restrictions, (d) modify, alter or create derivative works of the Software or Product; (e) use the Software or Product for purposes of competing with Infoblox, including for competitive analysis, benchmarking or marketing; or (f) use the Software or Product except in accordance with the Documentation. The Product is designed to be repaired by Infoblox authorized suppliers only; opening the Product casing or otherwise altering the Product may void any applicable warranty and support obligations. The Software (including related user interfaces) and Documentation incorporate Infoblox’s confidential and trade secret information and shall not be disclosed to third parties other than to Your affiliates and third-party service providers as permitted under Section 3 above. 5. NO SUPPORT OR SUBSCRIPTION SERVICE INCLUDED. Purchase of a Product or of a License for the Software does not include Infoblox support, maintenance (including Updates) or subscription services for the Product or Software. If You wish to receive such services, You must purchase the services separately from an Infoblox authorized source. Support for the Product or Software may not be available for any Product or Software that Infoblox has declared obsolete or end of life or that have been transferred by You to a third party without Infoblox’s authorization, as required under Section 10. 6. NO WARRANTY; DISCLAIMER. This EULA does not include any warranty regarding the Product, Software or related services. If a limited warranty is made available to You, it will be set forth in a separate written agreement with Infoblox or an authorized warranty service provider. Any applicable warranty that may be provided by Infoblox extends only to You as the original end user purchaser. Infoblox has not authorized any party to make any representation, warranty or obligations on behalf of Infoblox. In no event does Infoblox warrant that the Product, Software or related services will be error-free or will operate without problems or interruptions. INFOBLOX AND ITS LICENSORS AND SUPPLIERS EXPRESSLY DISCLAIM ANY OTHER WARRANTIES, EXPRESS OR IMPLIED, WITH RESPECT TO THE PRODUCT, SOFTWARE AND RELATED SERVICES, INCLUDING, BUT NOT LIMITED TO, ANY IMPLIED WARRANTIES OF MERCHANTABILITY, FITNESS FOR ANY PARTICULAR PURPOSE AND NONINFRINGEMENT, AND ANY WARRANTIES OR CONDITIONS ARISING OUT OF COURSE OF DEALING OR USAGE OF TRADE. 7. LIMITATION OF LIABILITY. TO THE EXTENT PERMITTED BY APPLICABLE LAW, (A) IN NO EVENT WILL INFOBLOX OR ITS LICENSORS OR SUPPLIERS BE LIABLE TO YOU FOR ANY LOSS OF USE, LOSS OF DATA, LOSS OF PROFITS, BUSINESS INTERUPTION, OR ANY SPECIAL, INCIDENTAL, PUNITIVE, EXEMPLARY OR CONSEQUENTIAL DAMAGES OF ANY KIND RELATING TO THE USE OF THE PRODUCT, SOFTWARE OR RELATED SERVICES, REGARDLESS OF THE FORM OF ACTION WHETHER IN CONTRACT, TORT (INCLUDING NEGLIGENCE), STRICT LIABILITY OR OTHERWISE, EVEN IF INFOBLOX HAS BEEN ADVISED OF THE POSSIBILITY OF SUCH DAMAGES, AND (B) INFOBLOX’S AND ITS LICENSORS’ AND SUPPLIERS’ TOTAL LIABILITY TO YOU FROM ALL CAUSES OF ACTION AND UNDER ALL THEORIES OF LIABILITY WILL BE LIMITED TO THE AMOUNTS PAID BY YOU FOR THE PRODUCT OR SOFTWARE THAT IS THE BASIS OF THE CAUSE OF ACTION, OR IN THE EVENT THAT INFOBLOX HAS MADE THE PRODUCT OR SOFTWARE AVAILABLE TO YOU WITHOUT CHARGE, INFOBLOX’S AND ITS LICENSORS’ AND SUPPLIERS’ TOTAL LIABILITY TO YOU WILL BE LIMITED TO US$100. THE FOREGOING LIMITATIONS WILL SURVIVE AND APPLY EVEN IF ANY LIMITED REMEDY SPECIFIED IN THIS AGREEMENT IS FOUND TO HAVE FAILED OF ITS ESSENTIAL PURPOSE. 8. SOFTWARE UPGRADE SERVICES. Infoblox may make available upgrade services for selected Software used on Authorized Platforms at an additional fee. If You purchase upgrade services and activate a successor version of the Software, then the successor version replaces the original Software and the License for the original Software is automatically terminated upon activation of the successor Software. You do not retain any rights to the original Software after you have activated a successor version of the Software and You shall not continue to use the original Software or transfer it. The successor version of the Software is licensed under the terms of this EULA upon activation thereof. 9. RECORDS AND AUDIT. During the License Period and for two (2) years after its expiration or termination, You agree to maintain accurate records of Your use of the Software sufficient to show compliance with the terms of this EULA. During such period, Infoblox has the right to audit Your use of the Software to confirm compliance with the terms of this EULA. The audit is subject to reasonable notice by Infoblox and will be conducted in a manner to minimize any interference with Your business activities. 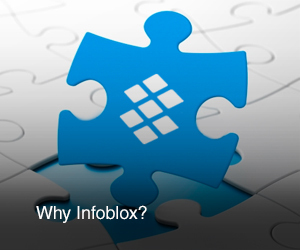 Infoblox may conduct no more than one audit in any 12 month period, and only during normal business hours. You will reasonably cooperate with Infoblox and any third party auditor and will, without prejudice to other rights of Infoblox, address any non-compliance identified by the audit by promptly paying any applicable fees for use of the Software. You will promptly reimburse Infoblox for all reasonable costs of the audit if it reveals an underpayment of more than 5% of the Software fees payable for Your use of Software, or if You have materially failed to maintain accurate records of Software use. 10. TRANSFERS; ASSIGNMENT. Subject to the transferee’s written acceptance of the terms and conditions of this EULA, You may transfer the License together with the associated Product or Authorized Platform (a) as required by applicable law or regulation, (b) to one of Your affiliates in connection with a corporate reorganization or divestiture of a business unit, or (c) to a third-party outsource service provider for purposes of providing services to You. In each case, you must notify Infoblox of such transfer in writing in advance no later than thirty (30) days prior to the contemplated transfer. You will not otherwise transfer or assign the License or this EULA, or any right or obligation herein without Infoblox’s prior written consent. Any other attempted assignment or transfer by You will be void. Infoblox may use its affiliates or other sufficiently qualified subcontractors to provide services to You, provided that Infoblox remains responsible to You for the performance of the services. 11. MISCELLANEOUS. All Software and Documentation are deemed to be “commercial computer software” and “commercial computer software documentation,” respectively, pursuant to DFAR Section 227.7202 and FAR Section 12.212, as applicable. Any use, modification, reproduction, release, performance, display or disclosure of the Software and accompanying documentation by the U.S. Government shall be governed solely by the terms of this EULA and shall be prohibited except to the extent expressly permitted by the terms herein. This EULA shall be governed by and construed in accordance with the laws of the State of California and the United States without regard to conflict of laws provisions thereof and without regard to the United Nations Convention on Contracts for the International Sale of Goods. You agree to comply with all applicable laws governing use of the Product and Software. The Product and Software are subject to export restrictions. You will comply with all applicable export laws and regulations of the United States and other applicable countries if You export or use the Product or Software outside the United States. If any provision contained in this EULA is or becomes invalid, illegal, or unenforceable in whole or in part, such invalidity, illegality, or unenforceability shall be stricken to the minimum extent necessary to maintain the legality of the EULA and shall not affect the remaining provisions and portions of this EULA. In case of any inconsistency between this EULA and any other terms included with or relating to Your Product or Software license purchase, this EULA shall take precedence except with respect to an agreement negotiated and signed by You and Infoblox.